Product #2915 | SKU LO-CH | 5.0 (based on 1 rating) Thanks for your rating! 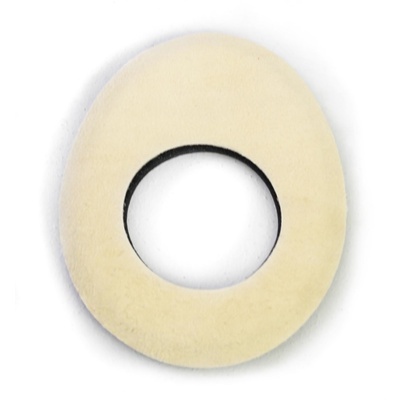 This Bluestar eye cushion available in Chamois Leather in Large Oval is wheel-buffed to downy softness, making it the best thing to wear against your own skin. It is non-irritating, non-allergenic and fragrance-free. And stop the rubber eyecup gumming up with sweat and skin from all your hard work composing that shot thru the viewfinder.